These are drawer separators which are fit for any kind of drawers. This drawer separators can be used for tiding and classifying household necessities and promote the efficiency greatly. Material: Plastic. A strong, stylish and practical 20 bar wooden tie hanger. 1pcs Wooden Tie Hanger. Can hang up to 20 ties to keep your tie collection well organised and quickly accessible. A Flat Shape For Easy, Compact, Space Saving Storage. It’s a literally infinite series of shelves that stack as high as you need, yet take up one paper-sized footprint. You can even spread out your work, then stack it back up when you’re done. convenient way to folding clothes and so on. Type:Wire Cube Connectors. 20 x Wire Cube Plastic Connectors. Size:3.7 x 3.7 x 0.5cm. 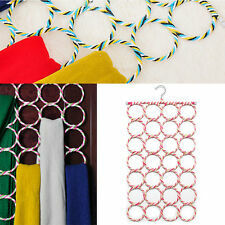 6 CLOSET ORGANIZER RINGS BABY CLOTHES SIZE DIVIDER DISC from 0 to 24 MONTHS. Feel free to browse. Rings are in excellent condition. I've taken picture of both sides. You simply zip the base together to assemble with ease. They have inserted cardboard sides to create a sturdy structure and can be wiped clean with a damp cloth. A set of 3 Storage Drawer. 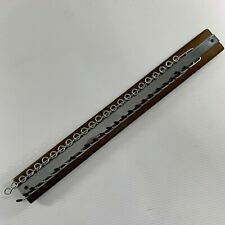 This plastic boards could be combined freely to shape the most proper divider for certain drawer, and it also could be placed on other place instead of drawer. Classify underwear, socks, neck ties, scarves, bras, accessories etc. Rate (item arrived). Canada Rate (item arrived) 0.0% 47.1% 31.4% 17.6% 3.9%. United Kingdom. United States. hope you can understanding, will be sincerely appreciated. Item Number : 994162. Colors: Transparent (As the picture shown). 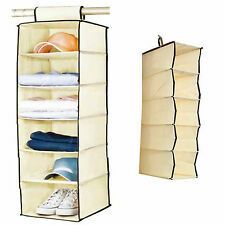 Tripple closet space saving multi purpose use display hang wardrobe cloth organiser. Wonder hanger. Space saver. 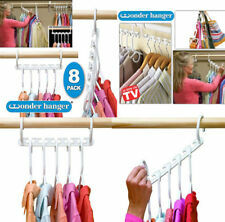 Portable & Multi-functional Clothes Rack. Included: 1 x Clothes Rack. Keep Clothes Organized & Easily Accessible. Load: 50kg. Cross Bars At Base Prevents Swaying. Color: silver gray. If item is defective after 3 months, you can still send it back to us. 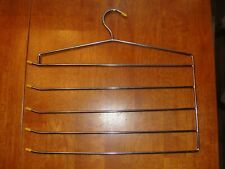 This is a fashion and convenient clothes rack. It applies excellent steel tube, anti-rust, sturdy and durable. Space-saving and with 360°casters for easy moving. It is 63cm height adjustable and the bottom layer is also a shoes rack. Perfect to organize dress, skirts, coat, T-shirt, trousers, suits etc. 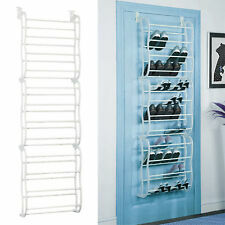 and can keep your room tidy.It can also be used as display rack for some shops, counters or as a clothes drying rack. Sturdy steel construction with solid PP casters.Space-saving design to hang/display/dry clothes conveniently.Adjustable rail height from 92 to 155cm to suit your needs.Max.10kg weight capacity, quite heavy-duty.The bottom layer is great places for putting shoes, boots, storage box.Smoothly to move everywhere with 360°gliding casters.In Additi. 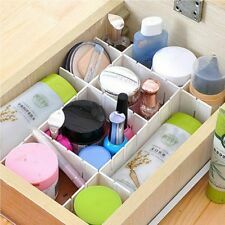 No more cluttered drawers! This fabulous storage box will keep you organised and clutter-free. 30 handy slots for your socks, tights, ties and underwear. Practical lightweight design for easy storage in drawers or wardrobes.